While making straight upward motions the converging shoulder press has dual-position hand grips, allowing you to perform a variation of weight training exercises that target your anterior deltoids and the pectoralis major. 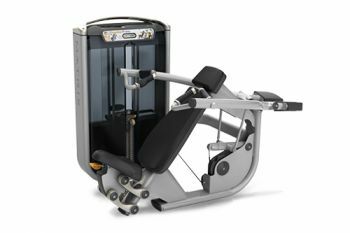 The converging arm movements of this machine provide a natural path of motion, while the counter-balanced pressing arm optimises starting resistance. To improve your posture and back support, this machine also has a reclining seat. You can also track your progress using the electronic counter which displays repetitions, exercise time and rest time.